Lake Kenyir is South East Asia’s largest man-made lake. The lake, created in 1985, covers an area of over 209,199 hectares and features many man-made islands, created after the area was inundated by water, waterfalls and rainforest. Lake Kenyir is also an alternative entry point to Taman Negara, the entry point is commonly known as Tanjung Mentong entryway. There are many activities for visitors to participate here. Visitors can go for a boat trip, canoeing or kayaking at designated areas of the lake, or perform more adventurous activities such as biking and caving at the Taat and Bewah Caves. Being surrounded by the rainforest, it will be easy for visitors to go for jungle trekking with the company of a guide. Camp sites are aplenty at the lake, catering to visitors who love the great outdoors. If visitors prefer to just relax by cooling waters and have a picnic, Kenyir Lake offers many waterfalls. Recommended ones include Tembat Waterfall, Saok Waterfall and Lasir Waterfall, all of which offers rapid cascades surrounded by calming greens. Fishing enthusiasts will find Lake Kenyir perfect for their hobby as the lake and its surrounding rivers are breeding grounds for many species of fishes. Good spots include Pertang, Leban, Saok, Petuang, Cacing and Sg Terenggan. 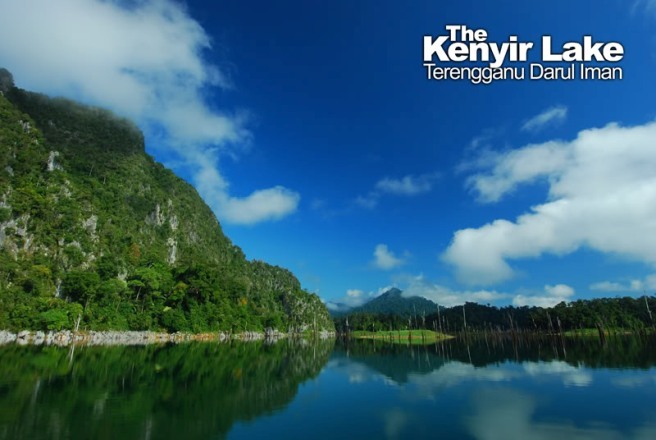 Kenyir Lake is also home to limestone hills that house many caves, filled with stalagmites and stalactites awaiting explorers. Lake Kenyir is also an annual destination for events such as the Kenyir Regatta, long-boat race, jet-ski competition, Kenyir Cup International Fishing Competition and Kenyir Lake International Triathlon, all of which will serve to ramp up the fun for visitors. Lake Kenyir offers visitors an unforgettable great outdoor experience that well-mixed with a selection of activities. Lake Kenyir is located at about 55km from Kuala Terengganu. Visitors can reach the lake by public transportation or private charter vehicle booked through travel agency. A magnificent lake front resort surrounded by lush greeneries and tranquil environment.